Still no word as to when the salmon fishing will be open on the Fraser but we are expecting to hear something by the end of the week. 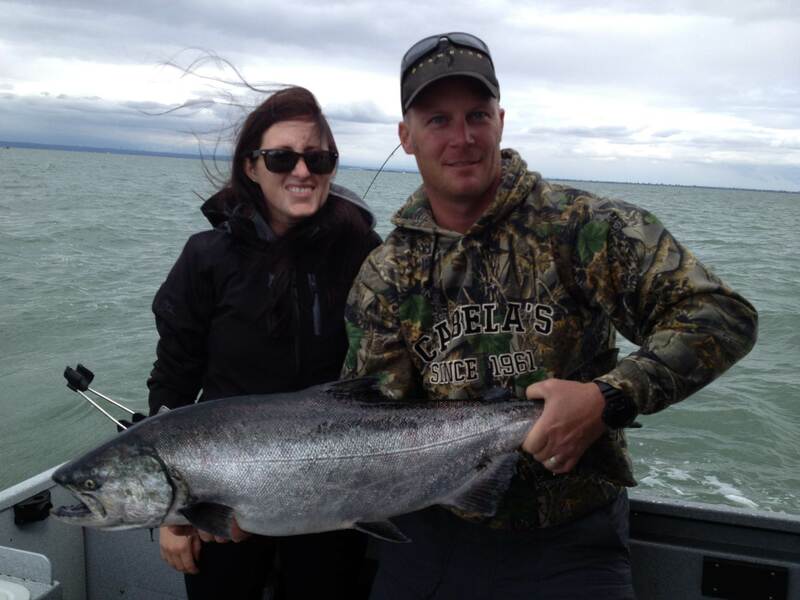 Until then we will continue to offer salmon trips on the Pitt River and Saltwater out of Vancouver. Fishing for both Pink salmon and Chinook salmon has improved this past week, we have experienced some excellent action at the confluence of the north arm, T-10, and Sand Heads. When the bite comes on the action can be fast and furious as some of our guest have experienced, a few days ago we had 3 double headers with 20 lb chinook. 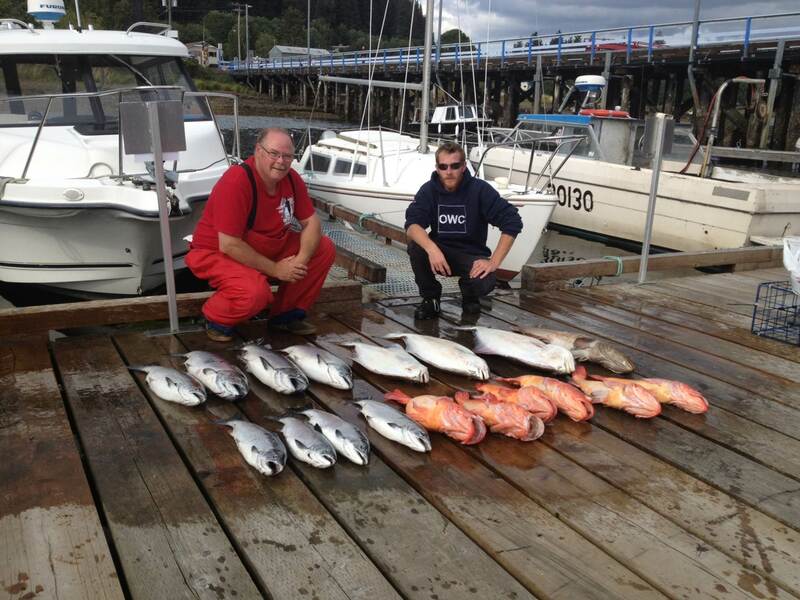 Fishing at our north Island locations is also very good so for those who can spare two days, this fishery offer Chinook & Coho Salmon, Halibut, and Snapper . Fishing will remain good until middle of September so please give us a call if you would like to experience this great fishing. 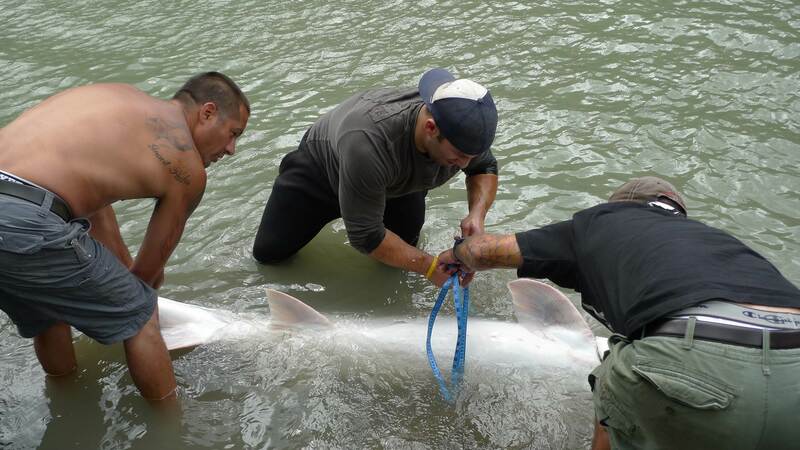 Sturgeon fishing has been slow on the Fraser near Mission and Chilliwack, lots of big fish rolling they don’t seem to want to eat much right now. I recall the same situation last year about the same time so hopefully it will only last for a few days. We do have some areas of the Fraser that are producing good results so if you are wanting to get out we will do our best to find some fish. Prime time is just around the corner so good time to book for September and October. 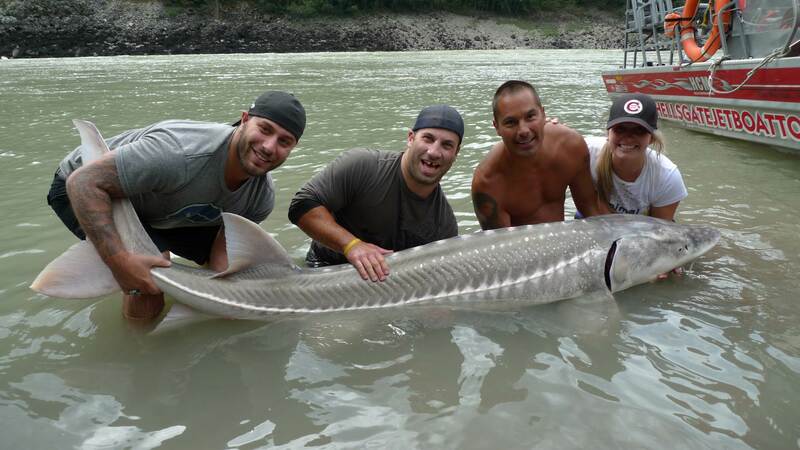 We landed this beauty yesterday measuring 7 ft 4 with a 40 inch girth, wow what a fat fish.